Another day, another pre-fall post. 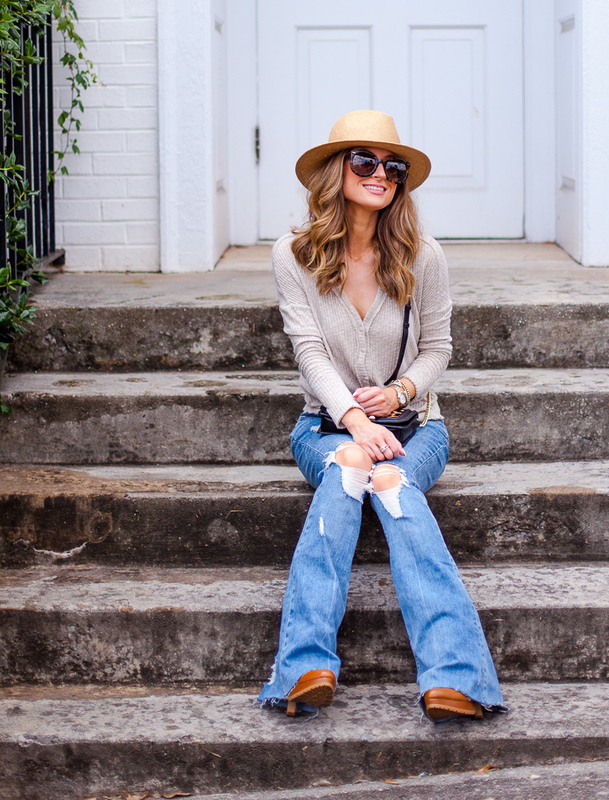 I know we still have quite a while before the weather cools down and the leaves start changing, but now is the time to start snagging your cool weather wardrobe! Especially when so many pieces are on sale (i.e. The Nordstrom Anniversary Sale 2018) like this comfy ribbed cardigan under $26. I can't get enough and love the front tied into a knot! 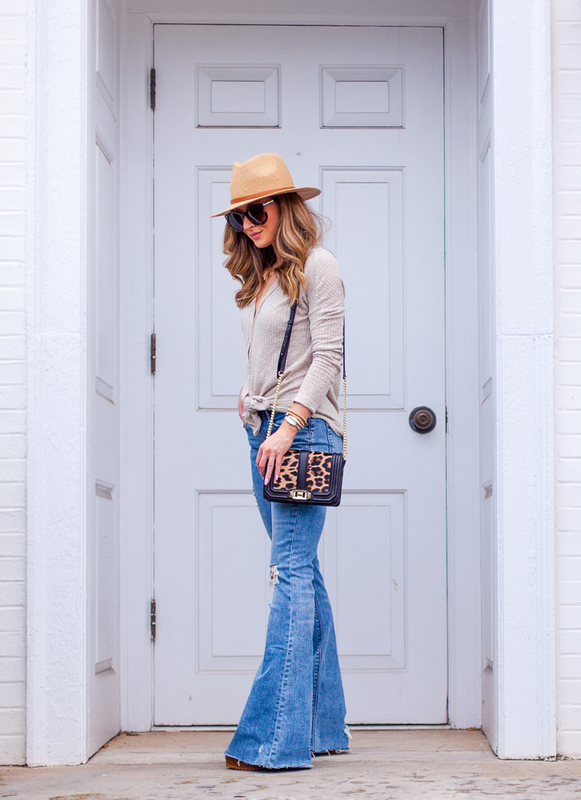 I paired my ribbed cardigan with a fabulous pair of distressed flare jeans and love the way the look turned out. I'm pretty short at 5'2" so I'm wearing my denim with a high-heeled boot. I like to buy my flare jeans in regular, not short because then I can't wear wedges or heeled boots without them being too short. I also love how it creates the illusion that my legs are much longer than they really are. 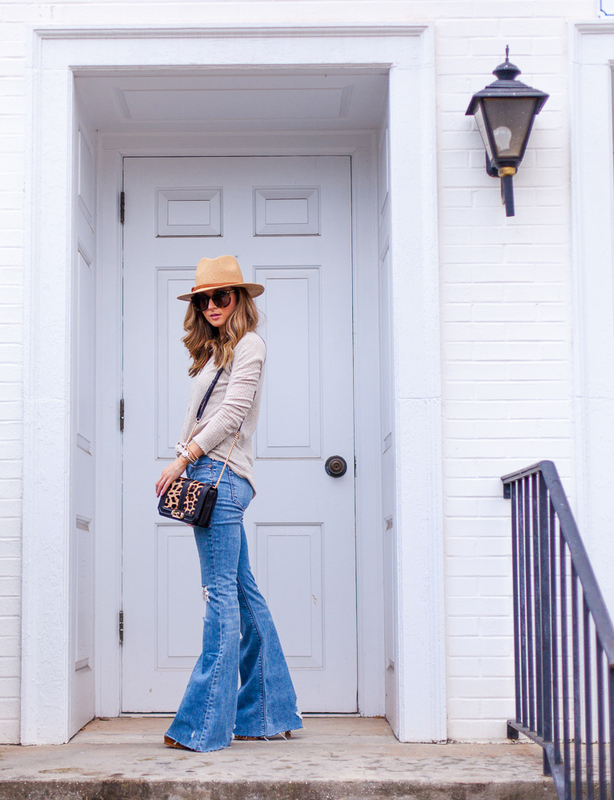 This particular pair of flares have been selling like hot cakes so I linked some others I'm loving under SHOP THE POST (above and below). You'll also find other options for tops and shoes since my boots are old and my top is part of the Nordstrom Anniversary Sale and selling out fast (it also comes in grey). For summer, you could wear a knotted tee and it would look just as cute! And a heeled sandal like THIS ONE I also bought on sale. 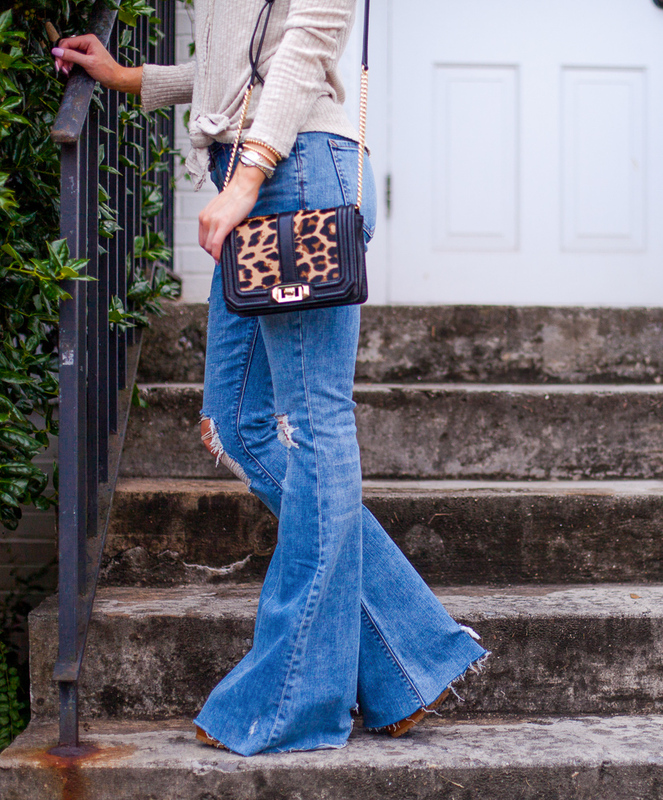 And as always, I added a little leopard pizzaz in the form of my small calf hair crossbody bag that is, surprisingly, still in stock! And my straw Panama hat under $50 I've been wearing nonstop this year. I hope this gives you some fun inspiration! Below you'll find all of my Nordstrom Sale posts thus far in case you missed one or two - there are still some amazing pieces to be had!